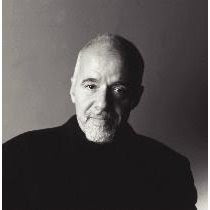 Brazilian author, PAULO COELHO, is considered one of the most influential authors of our times. His books have sold more than 165 million copies worldwide, have been released in 170 countries and been translated into 80 languages. Follow his blog, Facebook, Twitter, Instagram and Youtube. 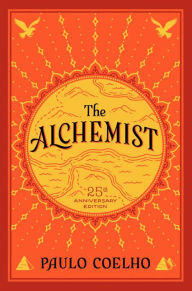 I understand now why this book is a classic, a favorite to so many, and he is the most translated author of all time. This is literally one of the best piece of literature to graze my fingertips that I have to ask myself incessantly, why the hell did it take me so long to read it?! But I bought the book so I can read it again and again, and I feel like each time I read it I will take away something else. I had so many emotions with this book, though none bad. The teachings in it were awe-inspiring. Quotes like, 'Where your treasure is, there will also be your heart' are going to resonate through me for the rest of my life, I bet. Look, I'm not going to tell you about the book. I will tell you that if you haven't read it, you really should. It's frigging amazeballs on so many levels. I can't wait to read more from this author! **No compensation was received for posting. Compensation will be earned if purchases are made from the links within. This copy was purchased. Opinions are owned by Freda's Voice. I read this book years ago and kept the copy, so I may read it again one day. It is a classic! What a beautiful new cover. Great review! I have never read it, so I need to add it to my to-read list.